Are you ready to take your nutritional knowledge and skills to new heights? The AFPA Master Nutrition Certification program is the most comprehensive nutrition course available. 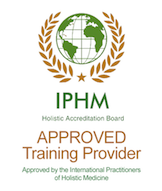 Completing this course will set you apart from others with your personal level of educational development, expertise, professionalism and commitment to the nutrition, health and wellness industry. When you have completed all 4 nutrition certification programs, you will receive the AFPA Nutrition Consultant - Master Level Certification. Complete a single program within 6 months or sooner. Complete all four programs in 2 years or less. Go at your own pace! Self-paced, self-study, complete assignments and exams when you are ready. After successful completion of each certification course, you will earn the corresponding certificate. Upon successful completion of all 4 certification courses, you will receive your credentials for Master Nutrition Consultant. You will gain the education and training that will enable you to combine sound nutrition, safe and effective physical activity, appropriate lifestyle changes and psychological and emotional support into programs that will help you to help your clients to achieve their goals. All of these components are important and all must be looked at carefully when designing a realistic and reasonable nutritional program. Diet, exercise and lifestyle together are the basis of a complete and well-rounded program. Passing an online exam for each course with 85% or higher. Exam is based on the course materials. No added materials needed. Online examinations must be completed within 28 days of receipt of your testing link. Once you submit your examination for grading and pass, you will receive your grade and credentials immediately. If you do not pass, there is a $75.00 retest fee. You will be allowed to retest within 24 business hours.